Cartridge filtration systems are versatile, low-cost and may be applied to a wide variety of applications. 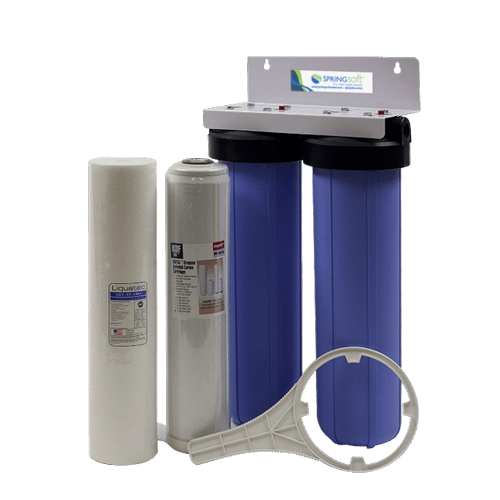 From sediment reduction to taste and odor improvement, cartridge filters may be used effectively for whole-home applications or to treat specific lines. Typically installed in-line, the cartridge resides in a housing which allows for quick access to the cartridge when replacement becomes necessary. These systems do not require electricity, and do not require connection to drain. Cartridge filters are available for a number of different applications, and come in a variety of different sizes and ratings, which makes proper selection a key part of any application. 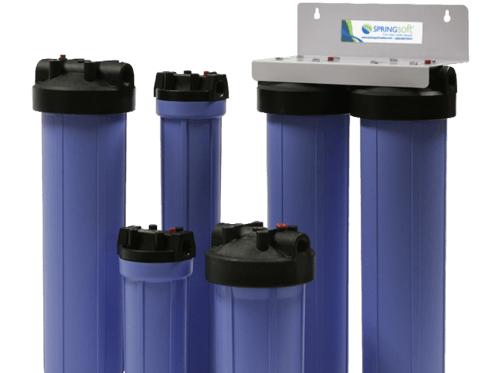 Your Springsoft Water Specialist will provide assistance in cartridge selection to assure the best mix of performance and budget.